Great fitting tuxedos or suits for you! Tuxedos & More is your neighborhood formal wear and suit specialist. Conveniently located in downtown Campbell, for over twenty-five years our store has been the destination for thousands of brides & grooms, prom students and everyone else getting dressed for a very special event. Recently men's fashions have seen many changes. We've stayed on the cutting edge of these changes, constantly updating both our rental and retail collections to reflect today's fits, styling, fabrics and colors. 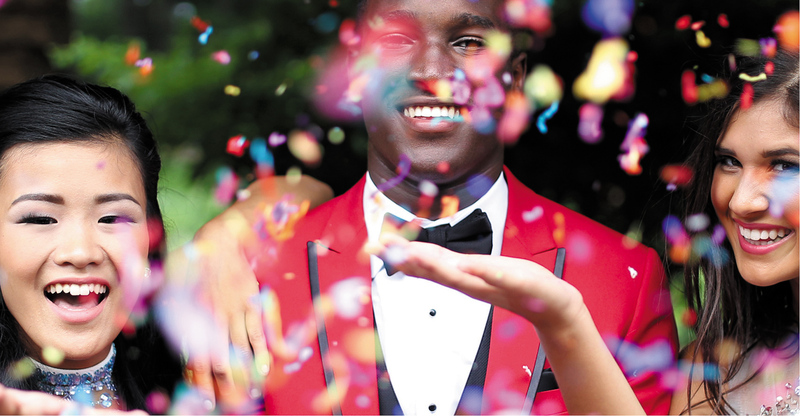 With over 7,000 tuxedos and suits in our local warehouse and hundreds of exciting fashion accessories, we'll make you look amazing for your special event! Going to a special event? Click on the right one for you and discover the perfect tuxedo or suit at a great price! You’re on the way to looking great! "My daughter was married this past Sunday, and I needed to rent a suit. Luis was just incredible. He spent the better part of an hour taking my measurements and making sure that I had just the right suit. A few days later, my suit was ready right on time and fit perfectly. I want to thank Tuxedos and More for helping to make Sunday afternoon one of the best days of my life. Thank you, Luis, and I look forward to seeing you again one day soon. "Luis is just great. He makes sure you look fantastic, even if wearing a tux is a foreign thing for you. I've gone there twice, and on both occasions, he was extremely friendly, professional, and knew what I should wear. The pics alone made it all so worth it, to say nothing of the comfort in being on stage, knowing you look like you belong there. And that's what he does. At Tuxedo & More, your satisfaction is our goal! We work hard to ensure that you are completely satisfied with your selection, the service and quality you receive. Our mission is to always make you happy to have chosen Tuxedos & More… because you deserve the very best! Please contact us for images.